As the sun makes a miraculous return to Thurston County after a long winter, residents take their first steps outside to their unkempt gardens. It’s time to replenish the flower beds with a new, fresh look with a variety of blooms. Our county offers nurseries all over the area for gardeners of varied skill levels and yards of every shape and size. The first stop on our trip is West Olympia’s Bark & Garden Center. This massive nursery boasts blooms from every climate on display. Perennials, house plants, ornamentals and succulents are all available along with garden decor galore. It’s a great spot if you are starting a garden from scratch as their excellent selection and knowledgeable staff can give you the tools (literally and figuratively) you need to get started. The plants are only one reason to come to this nursery – explore the jungles of displays that bring interest to gardeners of all ages. Their life-size dinosaurs in the warm climate display and water features in the outdoor displays make for a magical adventure through the gardens. They also host an excellent gift area the encourages outdoor play. Head south down Old Highway 99 to The Barn Nursery. This family business is more than 100 years old and run by Dan & Carla O’Neil. Along with a plethora of plants, this nursery is well known for their gardening education. Classes and seminars are held regularly and taught by some of the best in the business around subjects such as small space plants and the ins and outs of pruning. Their neighbor, Great Western Supply, can help further your garden with landscaping plans. The stones, mulch, and bark are available in custom sizes, colors, and shapes. Their customized calculators and knowledge on organic, sustainable products make for a learning experience that will help to define your yard. 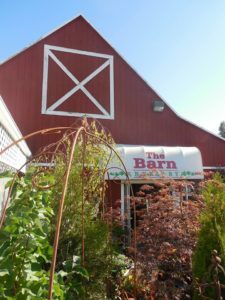 Located at the edge of Olympia and Lacey on South Bay Road, The Plant Place Nursery gives gardeners from our area a dynamic nursery to enjoy. This location opens annually in April after a long winter. The quality plants are available within the season and are constantly changing throughout the year. If you happen to have a big gardening job at hand, The Plant Place Nursery is known for its wholesale work. Puget Sound Landscaping runs all of their projects from this location and can help facilitate your dream garden designs. Rochester’s own Lael’s Moon Garden is a slice of Eden in the Northwest. What once started as a hobby has grown into Rochester’s own Lael’s Moon Garden Nursery. Owners and self-renowned plant geeks, Larry & Bethany Lael, began their nursery as a place to build tranquility in yards across Thurston County. Their 1,000 varieties of plants, trees and flowers are selected to help inspire residents to bring the nursery displays to their own homes. Lael’s Moon Garden has a beautiful display garden that can’t be missed! With the focus on being the “Eden” of the Northwest, this garden shows visitors what grows well here, how large these plants can grow, and offers a way to imagine many plant species in your own yard. 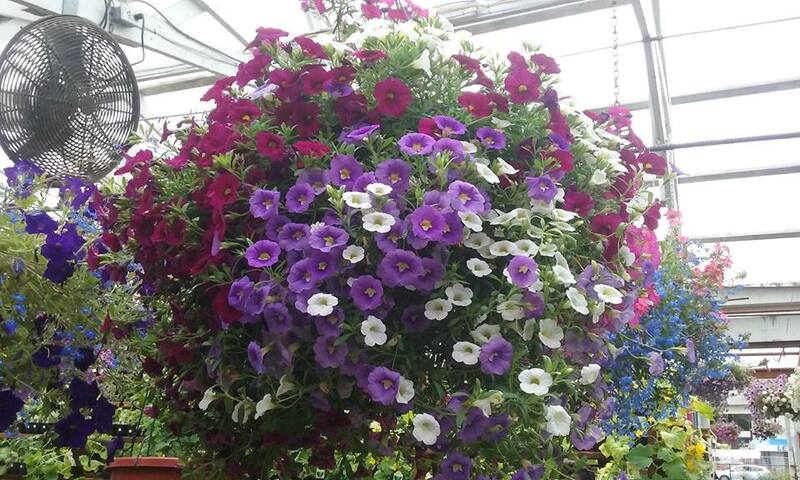 Head east to Jason’s Greenhouse in Yelm for a one-of-a-kind experience. While many nurseries ship plants in from all over the world, this greenhouse supplies plants that were grown on-site. This family-owned nursery is all about helping neighbors through their gardens. This includes advice in person and through their blog. With this neighborly advice, this nursery also supplies a military discount of 10% each and every day. Something very unique about Jason’s Greenhouse is its loyalty program. Avid gardeners can earn perks through Jason’s, including a percentage off of purchases, special coupons and a return policy that doesn’t include receipts. It’s a great option for residents that plan to purchase, plant and grow plants all year long. In every corner of Thurston County, nurseries are blooming with excitement to help resident gardeners. Their knowledgeable staff, classes and wide-variety of plants serve our community that not only beautifies are space, but brings us all closer together.